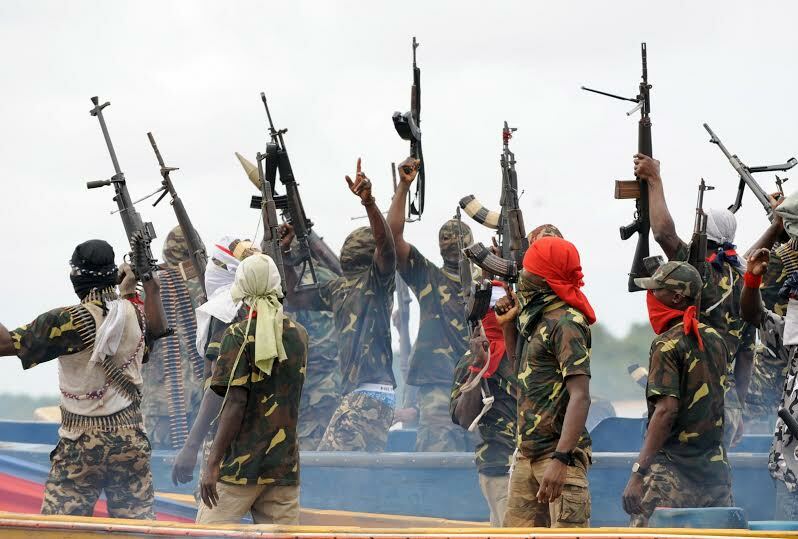 The Niger Delta Avengers has threatened to blow up the oil blocs of former Vice President, Alhaji Atiku Abubakar, Minister of Defence, General Theophilus Danjuma, ex-Minister of Petroleum, Alhaji Riwalnu Lukman, other Northerners and South-Westerners in Niger-Delta region. In an email by its spokesperson, Col Mudoch Agbinibo and obtained by Vanguard, the militants who are fighting for a sovereign state of the Niger Delta, issued the oil well owners a two-week ultimatum to shut their operations in the Niger Delta and evacuate the workers from the locations or have them blown up. The oil Blocs listed are Apo Well awarded to Sapetro Oil owned by Gen Theophilus Y Danjuma. Apo field is capable of producing 300,000 barrels per day and crude reserve of 500 million barrels. * OPL 245 is awarded to Malabu Oil and Gas owned by Dan Etete. It is worth $50 billion Dollars. *OPL 289 and OPL 233 were awarded to Cleanwater Consortium; the two fields are worth $200 billion dollars. “Our question to these groups of individuals calling us names is: where were you when all these atrocities were happening to the people of the Niger Delta? “From the high command of the Niger Delta Avengers, we congratulate all the strike teams of the Avengers. Without taking any innocent life or that of the Nigeria military, we were able to shut down 50 per cent of crude production. We have been seeing a lot on the media about us. Some are asking, “Who are you avenging?” some calling us empty heads, ex-agitators have been condemning us on daily basis. Our criticizer from other part of the country, we do not have anything to tell you because you clearly do not know how life is in the region. “To our criticizers from the region, we want you to know you are all cowards and afraid to stand for your people. To ex-agitators of the likes of Tompolo, We know why you people are after us. Our agitation is more civilized than yours, the Niger Delta Avengers is more concerned with people of Niger Delta unlike you (ex-agitations) that were into kidnapping, killing of Nigeria soldiers, sea piracy, vessel and tanker hijacking. However, we were able to carry out all our operations without killing a fly. We have sophisticated arms far better than what you use to have during your kidnapping days,” it said.